we wont learn anything new about Griezmann tomorrow. He might have a very good game, but that doesnt change what kind of player he is. Obviously, i am not arguing against his quality, i am arguing against the kind of player he is. Only reason i'm saying that is that he was incredibly good playing right behind Giroud and creating in the last NT get together... Atleti don't have any other scorers so they are forced to push him up to be the main scorer. Real Sociedad was like that too. In fact, Griezmann has had to deal with incompetent CFs for many years now His true quality comes out when he's able to drop into the 10 role and dish the ball as well as score. That's why he's been really really really good with NT recently. Chad, i honestly no longer understand your fascination with Benzema... is there any proof other than 7 years ago at Lyon that he can be an alpha on a team? He's failed miserably at it with NT. He's also been proven to be a crap leader which is why he was never offered captaincy. Heck, when Lloris went down, Varane became the captain. 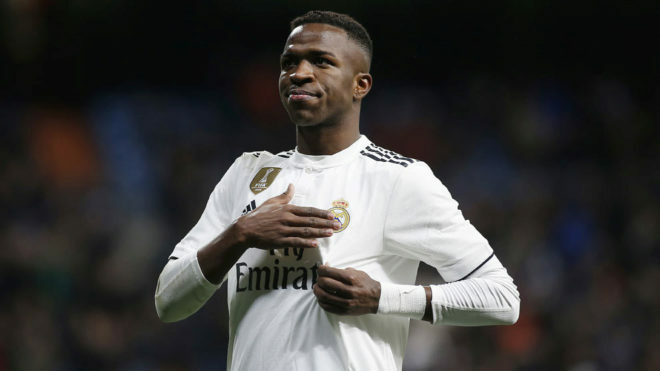 So with CR going down and Benz showing all sorts of question marks on the pitch and off.... wouldn't it make 100% sense for Madrid to look for a younger striker? He's turning 28. After next summer, Benz' market value starts plummeting too. hey bro can't i have a laugh at this lovely team support!!! !, that always involves selling everyone at the first sign of trouble? I get it Christmas came early with benz problems, so enjoy and milk it he was stupid, but i know in footy couple big performances people usually shut up and hit reset . anyway morata ... pass, loved how some of you casually giving up on isco , where is all that spark and edge talk? just saying the same stuff about the next player in line as usual . asensio what isco disco magic should've been right? but as long as he dribbles, he will also get motm . love this forum/section just switching up every week, trying to be right first, yet always wrong, always trying to sound knowledgeable, and yet backing cr9 as legit , as I said love this forum. oh im fascinated with benzema? when there like 6 threads are made by other posters in a week? any sign of trouble more threads over and over, yet when he playing great no threads and a bunch of knit-picking, one poster got you guys that scared? this is why group mentality is dangerous , you can be wrong and delusional as you like, but as long as enough plebs fake lolz, just keep faking it until its true . who are people following exactly I'm not saying throw Benz on the street. I'm saying that if you find a good replacement, you go for it. That list isn't 50 long... only 3-4. Who are they? If the team stagnates this year, it's time to make major changes imo. Gotze? As a CR replacement? even alaba would do a better job than that scrub tbh..
Aguero is a better option. Hazard (yes he's a scrub I know) but he's the only decent option realistically available on the market right now sadly.. And madrid wouldn't need to break bank or a world record for him too..
@Mr Nick09 wrote: I really like griezmann too, but he cant create anything, and his play away from the box is average to poor. None of our forwards can beat a player 1v1 right now lol, Griezmann, does not improve that. You really amazes me nick. you have problem admitting others opinion then say the say things after few months. Do you remember me making a thread about how we lack dribblers in our squad and how it is a problem when your best dribbler is your left back and what not and you responding with dribblers are not necessary and movement is what matters bla bla ....now fast forward you says the same thing.Did the opinion change or you just like to oppose opinions for the sake of it. @sportsczy wrote: who are people following exactly I'm not saying throw Benz on the street. I'm saying that if you find a good replacement, you go for it. That list isn't 50 long... only 3-4. Who are they? A dribbling talent who can dribble, some sporting guy is making alot of noise in fifa 16, mattheus or something. Assenso (provide good backup rotation player as jese). Gaya or some other speed and good defensive LB. Thats it for now i think, this will take us to the next level in terms of squad dept and talent, yes yes yes supermag with his fifa fantasies again, oh well chao brothers, getting married in 1 week. Gosh, Chad is so predictable. He doesn't miss an opportunity regardless of the thread nor the the topic to tell us all how we know nothing about futbol, defend Benz regardless of whether any criticism against him and put down Ronaldo regardless whether he has done anything or even be of discussion in the thread. i started this thread about gossip involving 3 players that there is talk around the club of maybe acquiring or reaquiring next summer. I wasn't suggesting anything about any of them only saying that if true, it would suggest a major shakeup could be coming if the team doesn't get results this year. In no way would it ever be like Supermag suggested, turning over half the team. 1. Hazard - there are those that say he was coming close to Ronaldo and Messi by end of last season. Obviously getting into Mou's bad books has had a negative effect on his play, but he does sound like he could be the winger we may need, if Ronaldo does leave and if they decide they want to continue with only one AM in the lineup or if they decide neither Jese nor Bale can be the winger we need. 2. Asensio is playing a full season in 1st division and he leading his team. There has been nothing but praise for him and he certainly seems at this point to be the player that can make it here. Sports continually argues that he won't be ready yet he is the same age as were Varane and Hazard when they were available to come to Madrid and will have roughly the same experience. The issue IMO will be what formation will team play as to whether there is room for him or not with both Isco and James on team. 3. Morata - seems most here say he is not good enough to start and would he come back to play in shadow of the starter CF. I don't pretend to know the answer to this, only he is a much better and more confident CF now than the one who left here a couple of years ago. Plus the club needs to get at least one new CF asap. And as to the suggestion of Griezmann??? How do you think Atleti will ever sell us one of their top players. History says the only way is to let him be bought elsewhere and bring him here a couple of years down the road. doubt he is as good as those millions, and besides we have millions and cr7 and others will bring even more millions so why even take a risk. vallejo can come when he is ready at around 21. There is no need for a new CB. Pepe and Modric are still good for a couple more years. Keep in mind this year is the transition year for Pepe to give up starter time to Varane. next year it will be clearly be Pepe behind Varane. Same transition may start with Modric next year. Again no need for wholesale changes. The issues will be how did the team perform i.e trophies and what were the problems if we don't succeed. And if same lineup fails under two coaches, maybe it is time to change some of core / top players. But let's not get carried away after one bad game in November!!! i have no problem saying whether you are right or wrong if you approach a subject, according to my thinking. but you bring up a thread you opened a while ago out of context, not sure what you want me to say..? Movements matter, more than anything else really. Everything after that is just a plus. @futbol_bill wrote: There is no need for a new CB. Pepe and Modric are still good for a couple more years. Keep in mind this year is the transition year for Pepe to give up starter time to Varane. next year it will be clearly be Pepe behind Varane. Same transition may start with Modric next year. dIdn't Pepe start instead of Varane at the beginning of this season? Keep Pepe for another season and bring Vallejo back as Ramos and Varane's sub. No need for overpriced defenders. Both Ramos and Varane are here (and sure starters) for several years to come. Nacho is a competent versatile defender, both as a 4th CB and an emergency lateral, either side. I don't see Pepe going for another year or two. Didn't he just sign a renewal. Vallejo has potential but we are not hearing the constant raves for him like we are for Asensio. He is fine developing on loan at other liga, 1st division teams for the next couple of years. When Pepe does go, if he has lived up to the hype, then bring him in then. Supermag seems to want 2 starters at every position, but is that realistic? You need bench players like Nacho. He has criticised Lucas and Denis yet what can you expect for guys behind the high priced starters (Ronaldo, Benz, Bale, James (and if they leave whoever they bring in for them) and 1st sub players like Isco and Jese. Both these guys have played very well at other clubs in la liga, and Lucas after a slow start is starting to look more and more like Callejon, who was the initial reference point for him. I agree that Denis looks lost in his very limited time, likely having lost confidence. Valencia keeps asking for him so no doubt, he will eventually head that way. But to ask for better quality for these two spots, one has to ask how can they succeed when they are 7th and 8th in line for any forward position? Actually i want 3 players for 2 positions, Pepe is good and all but i want younger more hungry cb to challenge ramos and varane, they need to understand there is someone looking from behind. There is no use for players like lucas and denis if they cant win us a point, for attackers we need talents that can drive a team, if our attackers are injured who is gonno score goals, we need 3 points every week if we were to compete with this barca. I want both awyumbang and benz because i want benetz to use them together if they are both fit and inform in 4-4-2 CR7 is to leave, we need a player to score goals, afcource i dont think ayumbang can score 60 per season, jese needs to step up and another talent need to be groomed, a dribbler who can break into defences with dribbling like marcelo, neymar, messi etc, the thing CR7 lacks. I am also looking to fill our current weaknesses and not just replace our players. I can post all the explanations for ever player i suggested, but it takes too much effort and most people usually skip big posts, including me sometimes. I forgot to mention about bazaor and embolo, i want us to sign them and keep them in their clubs for 2 years. these talents needs to be snached until they are ready for real madrid. Supermag, you haven't answered the basic question about our forwards in #7 & #8 spot. @futbol_bill wrote: But to ask for better quality for these two spots, one has to ask how can they succeed when they are 7th and 8th in line for any forward position? Where would we have been without them included in the squad with all the injuries we have had? You need squad players. Having 3 potential starter players for every position is essentially what we have now, at CB, at MF, all forward spots. The only spot we don't have alternatives in terms of starter potential is at LB. You may not like some of the alternatives but they are here. And in addition to that core 16 players you need squad players. But again, changes will only be made if team comes up empty again this year and even then, if it is deemed a major shakeup, it still will only be max 5 new faces!!! It's one thing to play your FIFA XI, but at some point you have to look at the reality of your desires.